What's the biggest man-made hole in the world? It depends how you measure it. The Chuquicamata opencast copper mine in Chile has the greatest volume of excavated earth (roughly 9 billion cubic metres) but it’s a ditch rather than a hole. 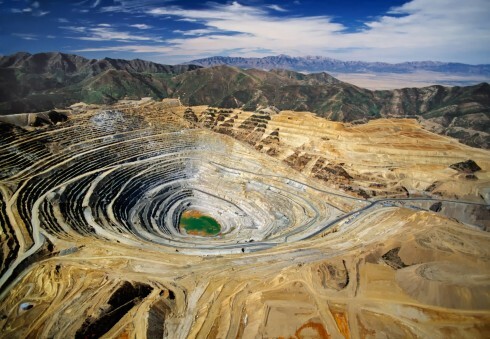 Bingham canyon, in Utah, is the deepest at 1.2km but it was a canyon to begin with so not all of it is man-made. thank you for your visits and comments! blessings to you! I love all the information I get from your blog. Nice article I like it. @gadisBunga. Perfect for landscape shooting! Thanks for reading & commenting, everyone. errrr... what's da purpose of that man made 'hole' again? Tablets - the solution for heavy schoolbags? The air you breath in a Plane - Stale or Fresh? Day 32: It's all over? Where are you on the global pay scale?